Moldovan prosecutor held Mykola Chaus on the request of Ukrainian colleagues. 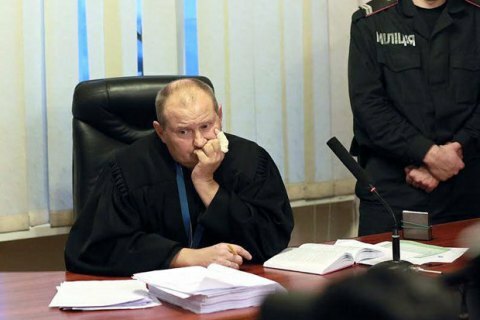 Moldovan law enforcers detained the judge of Kyiv's Dnieper district court Mykola Chaus who is suspected of bribery, the press service of Ukraine's National Anti-Corruption Bureau reported on Facebook on 1 March. "The detention was made on the basis of information that NABU has provided to Moldovan Anticorruption Center. We are looking for an official confirmation of the arrest," he report reads. The details of the arrest are pending. The Prosecutor General's Office confirmed the detention of Chaus, who is currently passing through an extradition checkup, PGO press secretary Larisa Sarhan said. The anti-corruption prosecutor of Moldova said that Chaus has voluntarily surrendered to the authorities, Ukrainian News said. Previously, NABU said Chaus might have taken hiding in Belarus. Chaus is suspected of receiving a 150-thousand dollar bribe in August 2016 for a suspended sentence for a 74-year-old pensioner, who sold prescription drugs. Chaus was not arrested because he was protected by judicial immunity and managed to escape to Russia-occupied Crimea. On 6 September, a court has lifted immunity from Chaus. On 12 September, NABU put him on the wanted list in Ukraine, and after 14 November Chaus is sought by Interpol. In January, Kyiv's Solomyanskyy district court arrested Chaus in absentia and set the 3.7mn hryvnia bail.